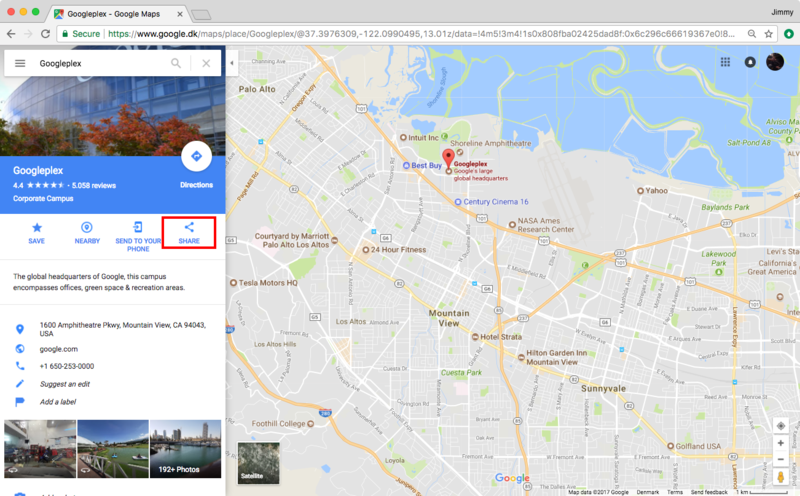 Integrating Google Maps is easy using External Modules. First, navigate to maps.google.com and find your location. Then click the Share button outline in the image below. You should now see a dialog with two "tabs" at the top - click Embed map to access the iFrame code needed to integrate the map using External Modules. Copy the code highlighted in the image above, and go to External Modules in Sitemagic CMS. Enter a title for your module in Module name, and insert/paste the iFrame code into URL address / iFrame code. Sitemagic CMS will now magically configure the rest for you, and immediately give you a preview of the module. If you are satisfied, then simply click Create. 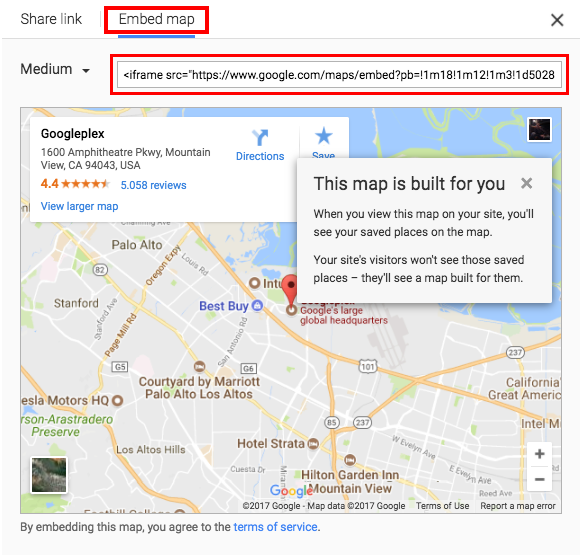 To insert the module, open a page for editing, and use the Page Extension button to insert the newly created "Map - find us" module.